This week we have been as thankful as ever for this wonderful vegan community: thank you all for continuing to spread the vegan word and giving us serious food envy at every opportunity. This is the fourth, but not final, round up: we’ve got three days of Holiday themed posts still to go, so keep on posting, reading and commenting! 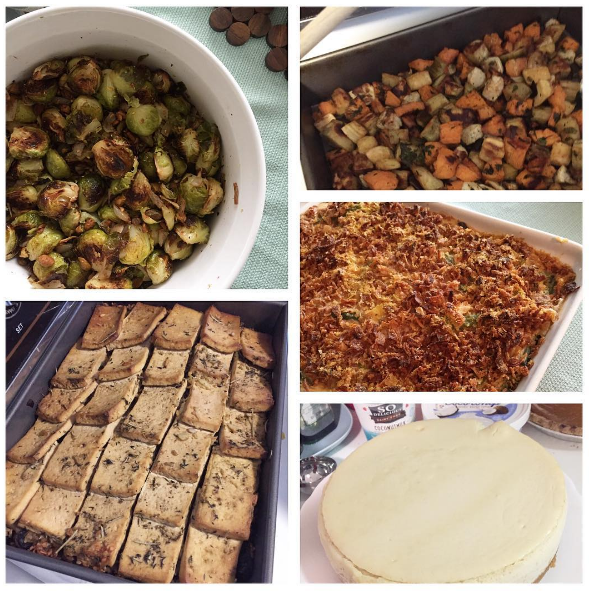 Week four was all about Memories and Traditions, and you dedicated MoFo’ers came through with an exciting array of dishes, and wonderful stories connected to them. Have a look at some of our favourites from this week, and remember to check out what the other members of our community have been up to. Day 21: What’s your favourite food memory? Anyone who enjoyed (or even just tolerated) devilled eggs in their childhood will be delighted by this vegan update on the classic. 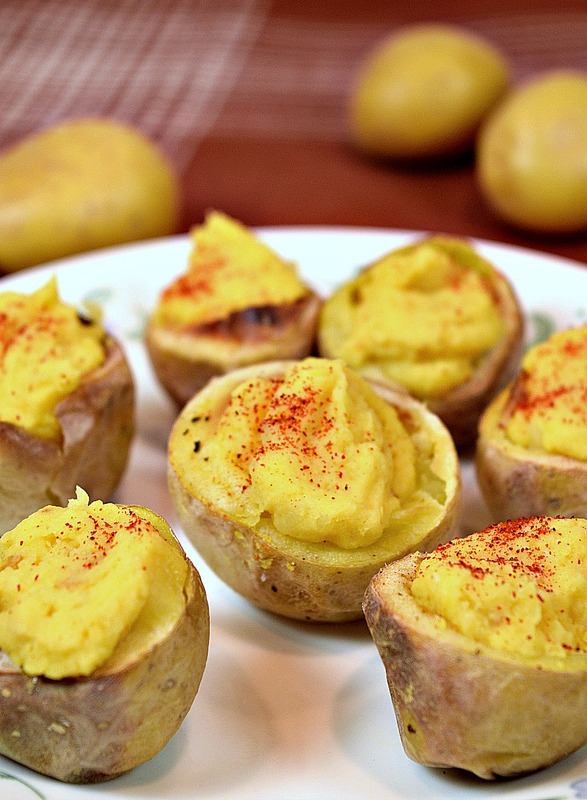 Is anyone else really keen to try potato hummus too? 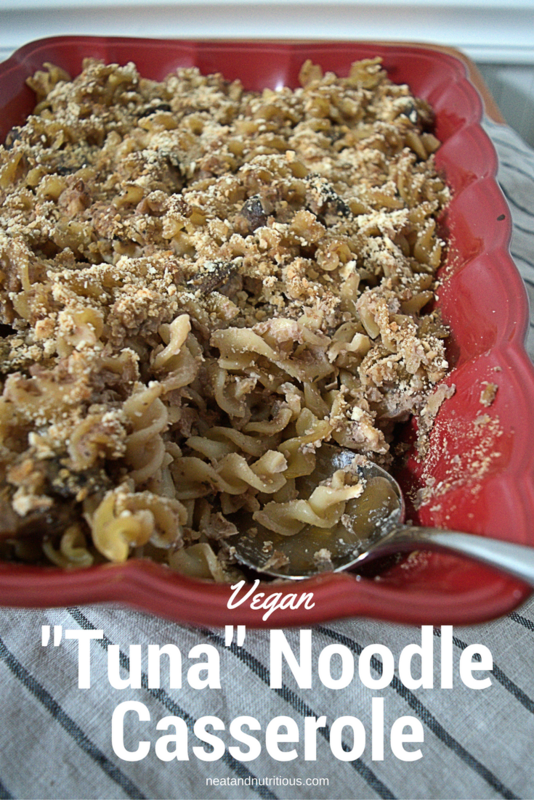 Stephanie recreates the simplicity and comfort of family meals with this “tuna” noodle casserole. Doesn’t it look good? 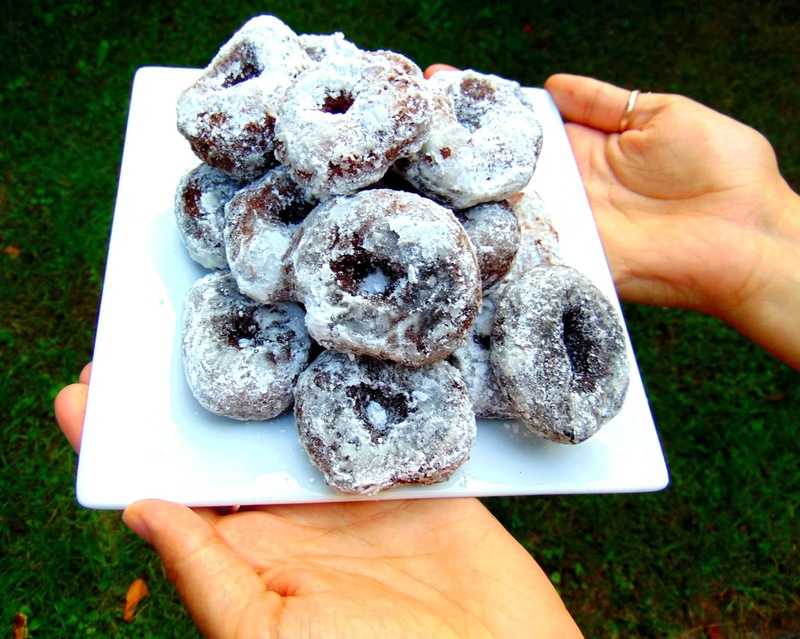 I wish these chocolate donuts were part of my childhood. And my adult life. Wow! Day 22: Silly food – what are some silly food memories/traditions that you have? 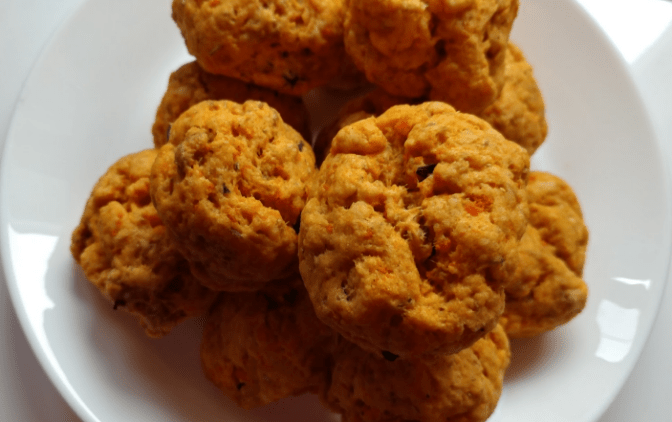 Sausage cheese balls just sound silly and fun, don’t they? Well, they also look delicious! 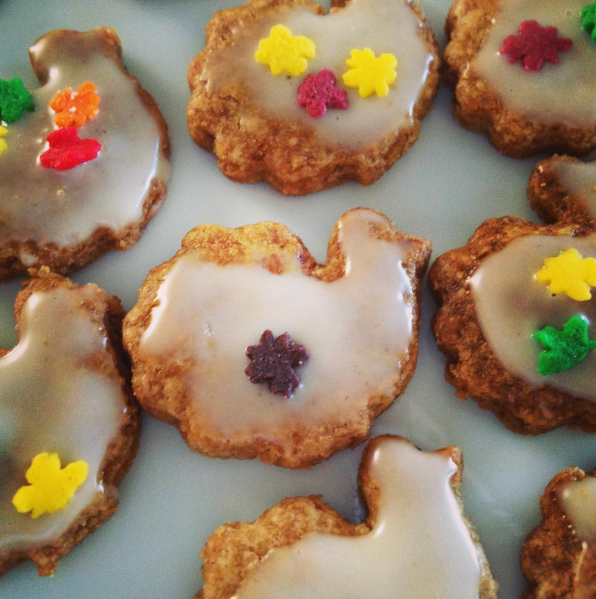 Lisa’s 4 year old son once decided he wanted to make turkey cookies for their neighbours to eat at Thanksgiving, rather than an actual turkey. A great sentiment, and a really cute little biscuit! 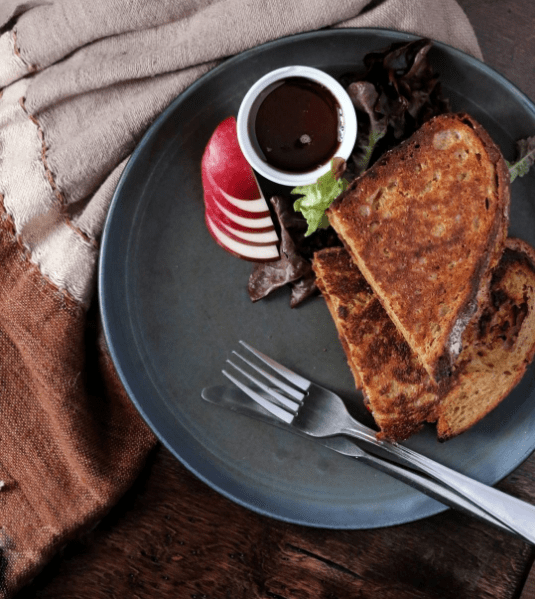 For her silly memory, Odile recreated the grilled cheese sandwiches her dad used to make for her and drown in maple syrup. Can she convince you to try this crazy combination? How do you like them apples? Caroline teaches us how to roast them to perfection to make the most of the autumnal produce. She’s been blogging about breakfast, so if you’re looking for inspiration, head her way. 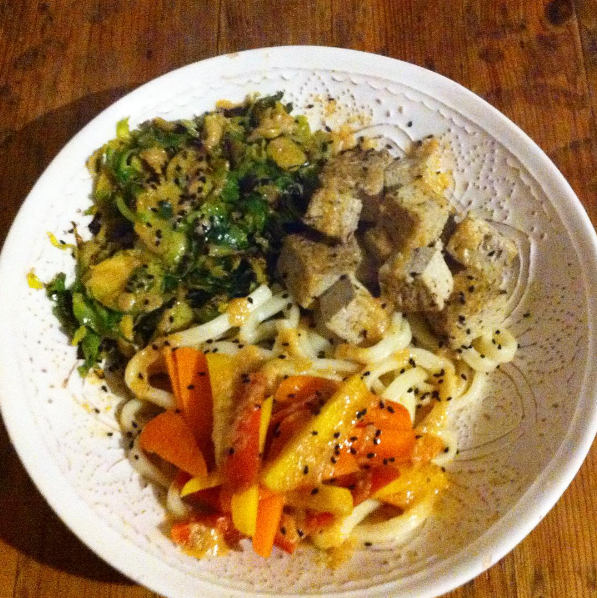 Autumnal dishes aren’t all about the fruit and veg for Emma. 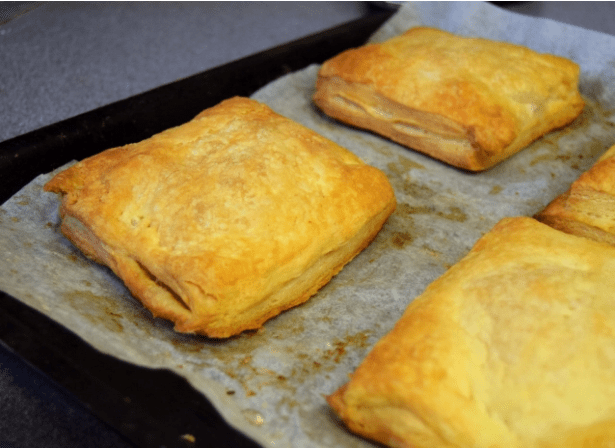 Maybe it’s a British thing, but there’s definitely something special about cheese and onions pasties in the cold weather! When you check out Rosie’s Instagram feed, you will love her crockery as much as her food! She’s giving good old Brussels sprouts a chance to shine in this autumnal dish. 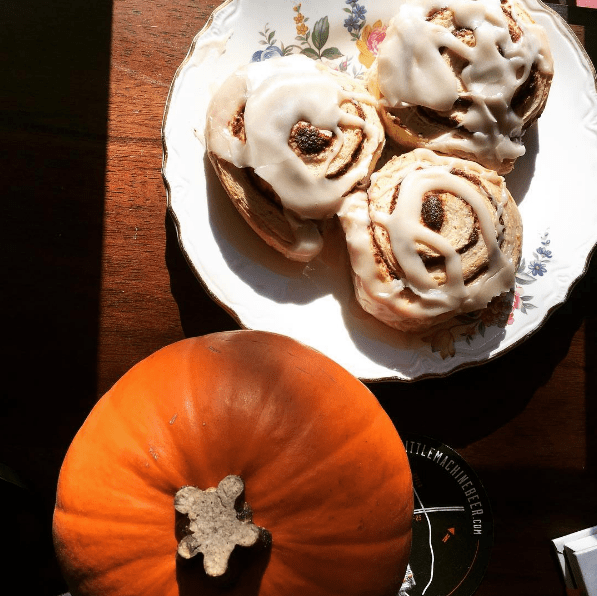 Getting the day started in style with these cinnamon rolls for breakast. 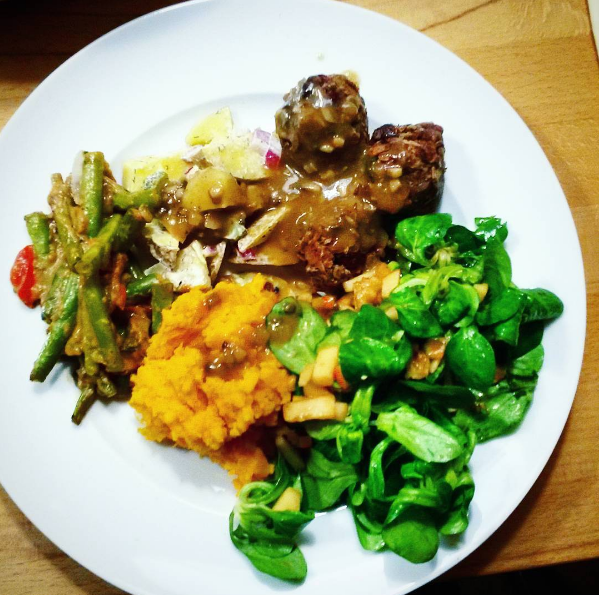 A colourful and cruelty-free plate from Mrs S! We’re extremely thankful for Dianne’s Instagram feed, and jealous of her lucky family and friends. This is only about half of what she prepared for their feast! PS. Check out her Thanksgiving cheese platter too. 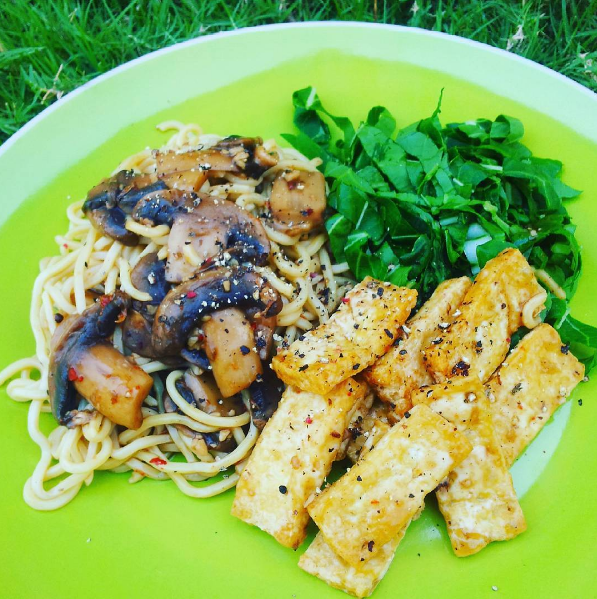 Day 25: Vegan memories – what was your first, or most memorable, vegan meal? 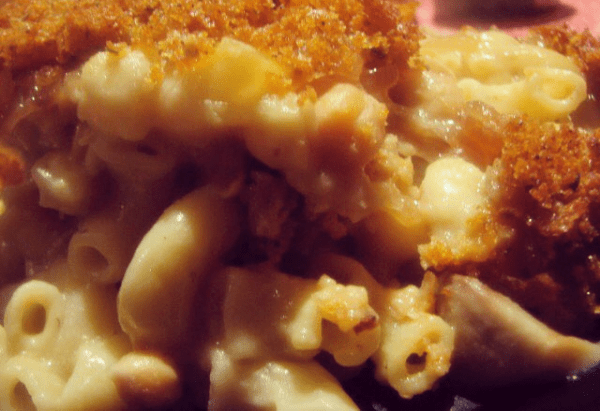 Zuckerbaby’s mac’n’cheese obsession started in her early vegan days. She’s now progressed to this version consisting of caramelised onions, mushrooms and smoked paprika breadcrumbs. 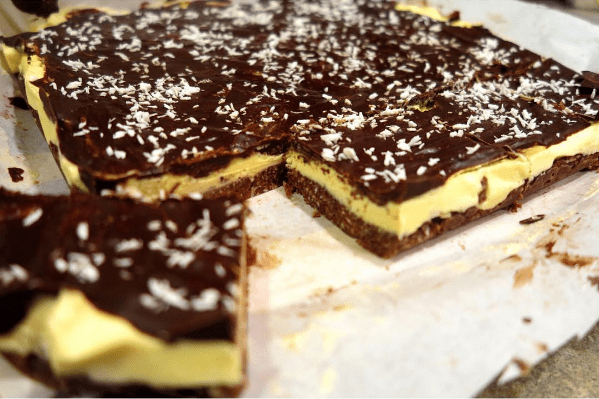 Yep, nanaimo bars would convince me to stick with this vegan lark too! 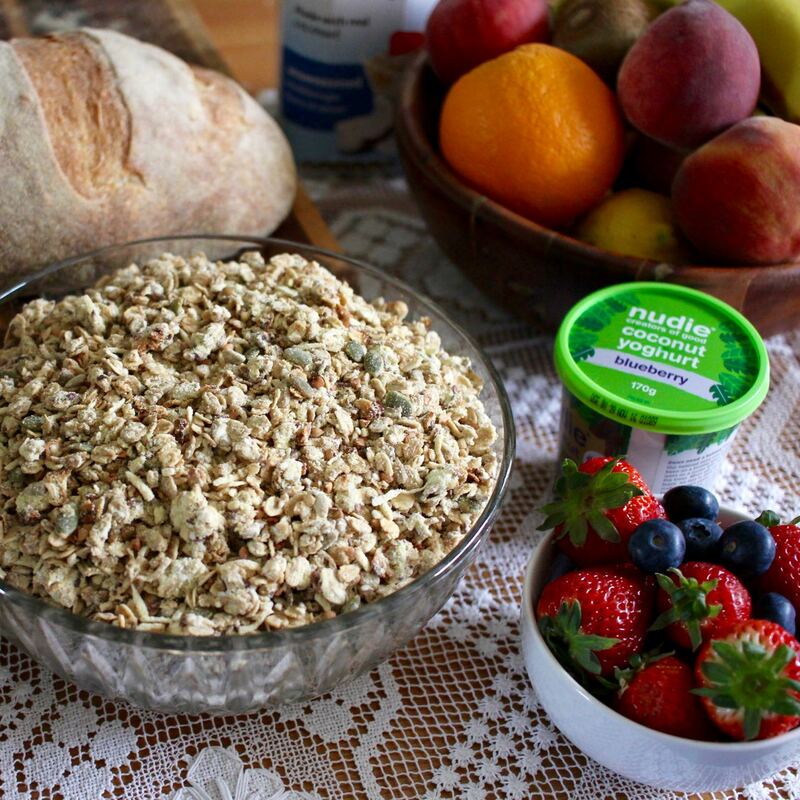 Like many of us, Johanna has spent a lifetime eating muesli, from shop-bought packets to hotel breakfast buffets and finally homemade varieties. 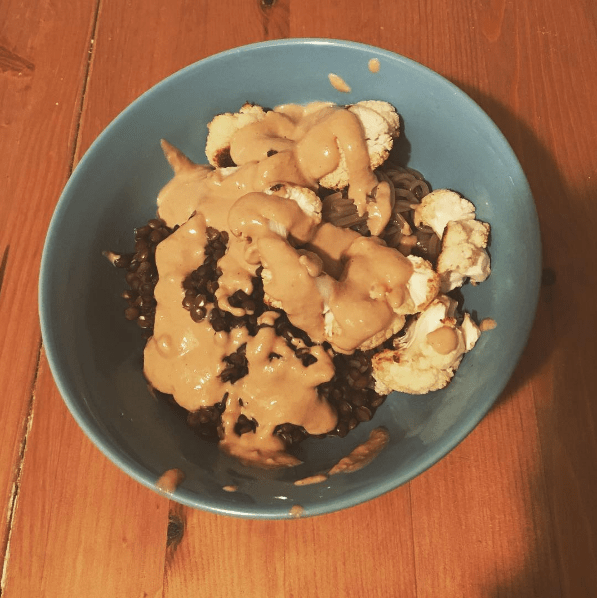 Check out her recipe for this banana and maca muesli. 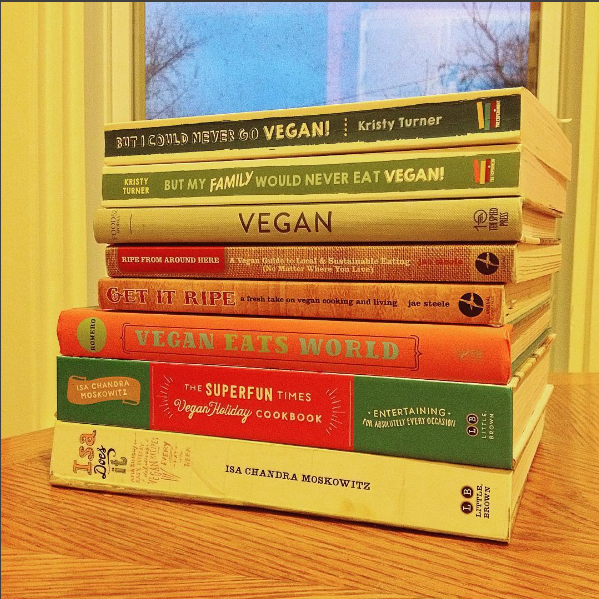 Day 26: Show us your favourite cookbooks! Not a bad stack of favourites here from Kath. Unsurprisingly, there was a lot of love for Isa on display today. 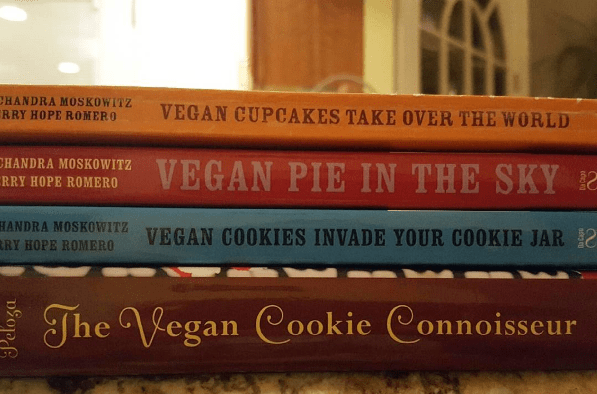 All dessert books? We like your style! 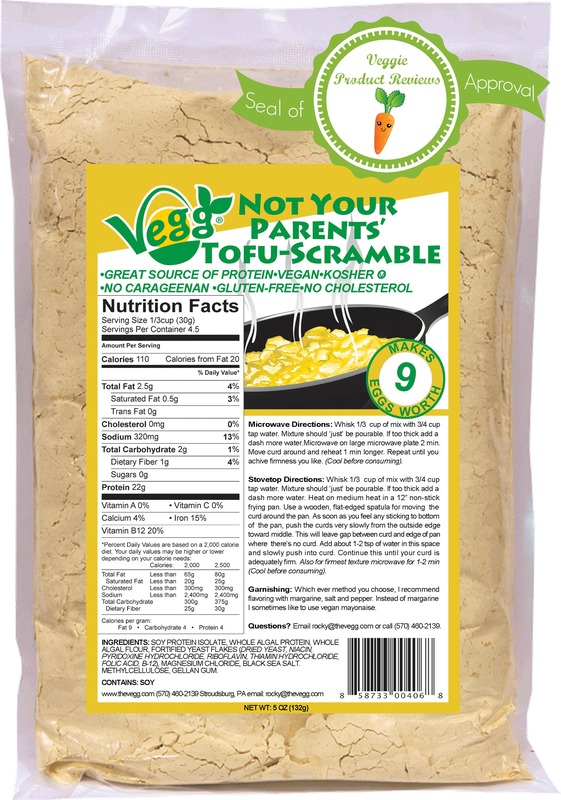 And on a different note, the good people at Veggie Product Reviews have a sneak peek at a new Vegg product. It’s breakfasty, it’s microwaveable and it gets an A grade from them! 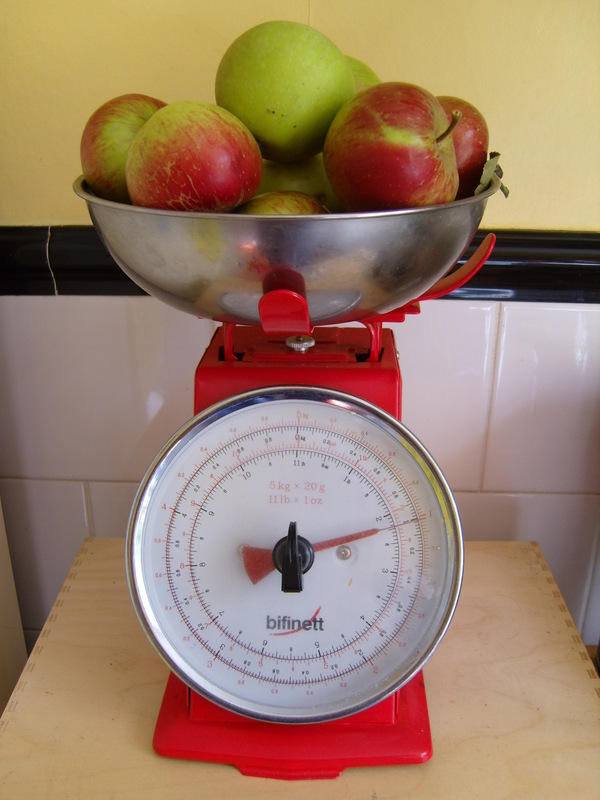 Day 27: Changed opinion – what is a food you used to hate, but now don’t? Looking at this dish it’s hard to believe that anyone could ever have hated tofu. Just look at it! Cauliflower was a popular choice today. Julia is gradually coming round to it, especially when it’s roasted and served with this tasty miso-tahini sauce! 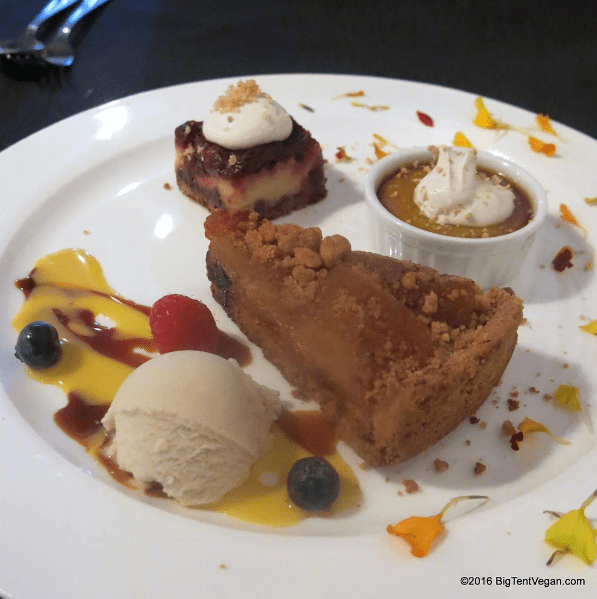 Finishing on a slightly different note, here’s something that nobody in the world has ever hated: three desserts on one plate! Yum! I confess to feeling overwhelmed by so much good food in vegan mofo (and so much posting) but really loving these round ups to help me keep browsing lots of new blogs (to me) and am thankful for being included in this post!